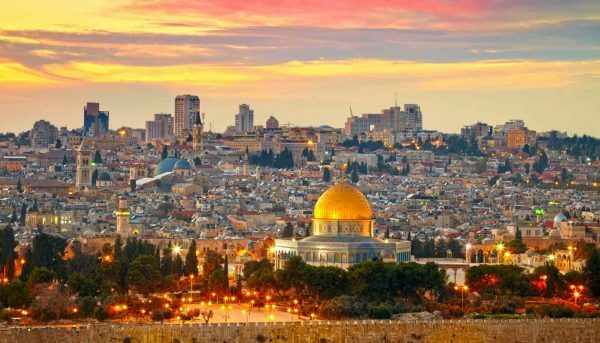 Grace New Lenox is leading a pilgrimage to the Holy Land from OCTOBER 15-25, 2020. The trip would be organized by St. George’s College, Jerusalem, an Episcopal Church institution that would provide housing, most meals and expert guides and travel within Israel and Palestine. Major trip stops include Jerusalem, Bethlehem, the Sea of Galilee, Caesarea Philippi, Cana, Capernaum and Nazareth. The deadline for a $500 deposit is March 1, 2019 - if you need more time or have more questions, please contact Greg+. Do let us know if you plan on going. Click on the image below for the WORD .docx with pertinent information and details about the trip!